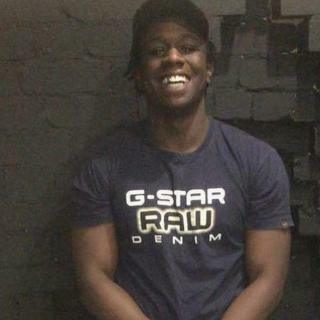 A teenager who died after he was stabbed by a gang riding bikes has been named as Kamali Gabbidon-Lynck. The 19-year-old was chased into a hair salon in Wood Green, north London, by men armed with a firearm, knives and a samurai sword. Another man, aged 20, was stabbed and shot in the street. His condition is no longer life-threatening. Detectives have said the killing would have been witnessed by several people, including children. Image caption Police appealed for any witnesses to come forward "for the safety of your community". Det Ch Insp Simon Stancombe appealed for any witnesses to come forward "for Kamali, for the second victim, and for the safety of your community". He said: "I know that there were a lot of people that witnessed at least part of this incident and I know that many of those people will be afraid to come forward and speak with police. I urge those people to make use of the anonymous services available to enable my officers to remove these violent criminals from the area where you live, work or socialise."